"Wildly entertaining...[Christopher] Walken's performance is the stuff Tony Awards are made of." "The funniest play in New York...Martin McDonagh is one of the finest playwrights in the English speaking world...John Crowley's direction is smart and sharp." 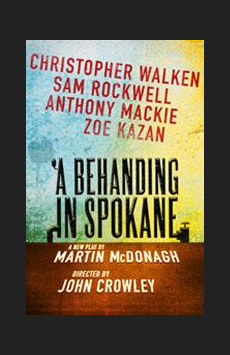 "The matchup of Christopher Walken and Martin McDonagh is perfect."